Digital Marketing success starts here! 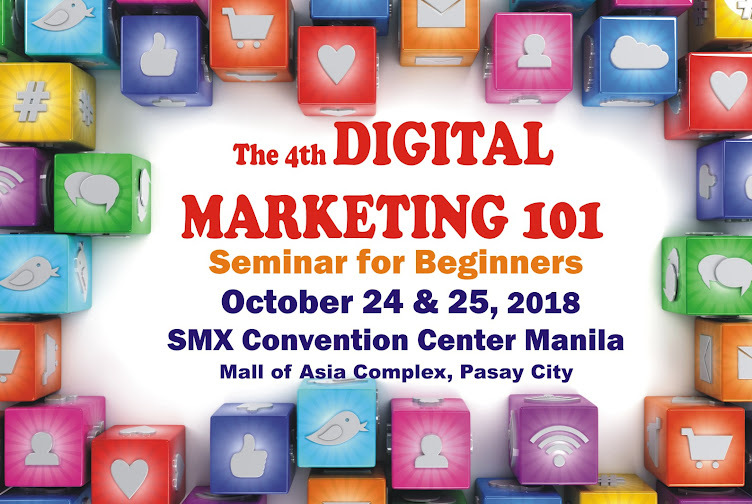 Be a seminar delegate at The 5th DIGITAL MARKETING 101 Seminar For Beginners, a two-day seminar designed to make beginners learn and get ahead with Digital Marketing. 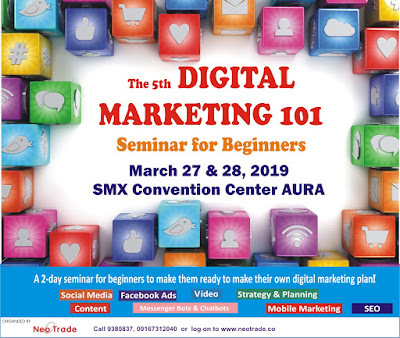 The event will be held on March 27 & 28, 2019 at the SMX Convention Center AURA. It gathers the key players and most respected digital marketing experts in the industry to share their knowledge on digital marketing and teach attendees to utilize customer engagement channels and marketing automation tools. It is designed for BEGINNERS and all who have basic knowledge of digital marketing. 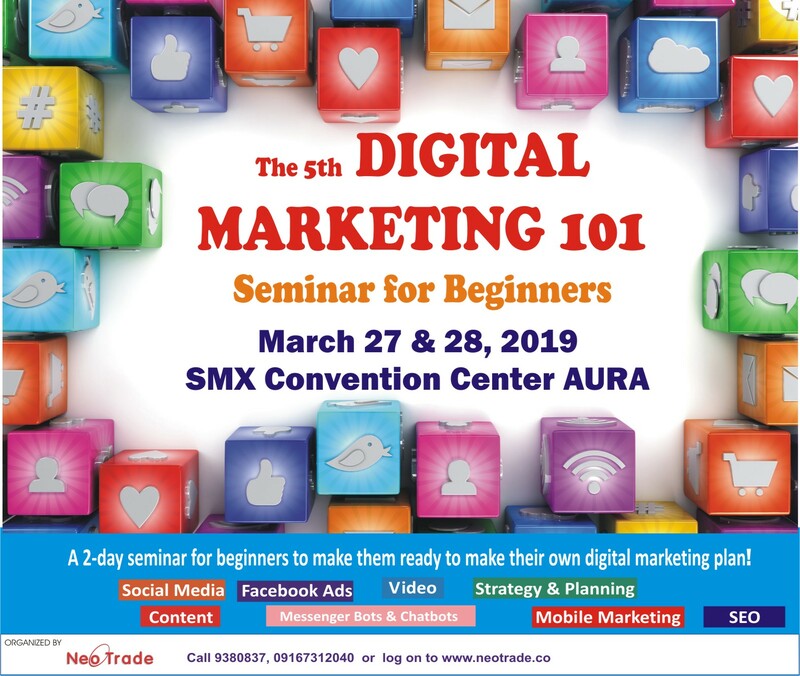 The seminars will give you a complete and concise overview of the key aspects of digital marketing, and how you can effectively utilize them in their marketing plan. End objective: by the end of the full-day seminar, you will be ready to formulate your own digital strategy for your company or your business. Online Payment via credit card or PayPal accepted. Inclusions: Certificate , pdf Seminar Kit after event, VAT, snacks.